The BOTTLER+PRACHER ART COLLECTION was founded as a German private art collection in the midst 1990s. It is dedicated to artists who were, due to historical circumstances, not able to earn their fullest reward of recognition during their lifetime. With the reunification of Germany, many of the lesser known or complete unknown artists re-emerged in regional exhibitions and on the art market. The lack of information led to the research on certain artists and to the idea of providing a „sign of life“ of these forgotten artists online. The collection now consists of more than 140 paintings, drawings, graphics and sculptures, mostly from the 1910s – 1940ies with the focal point on German Expressionism of the second generation and Expressive Realism. Besides the main interest of the collection, several modern and contemporary artists complement the idea in topic, form or composition. The artists of the so called “Lost Generation” were born around 1890 to 1910. 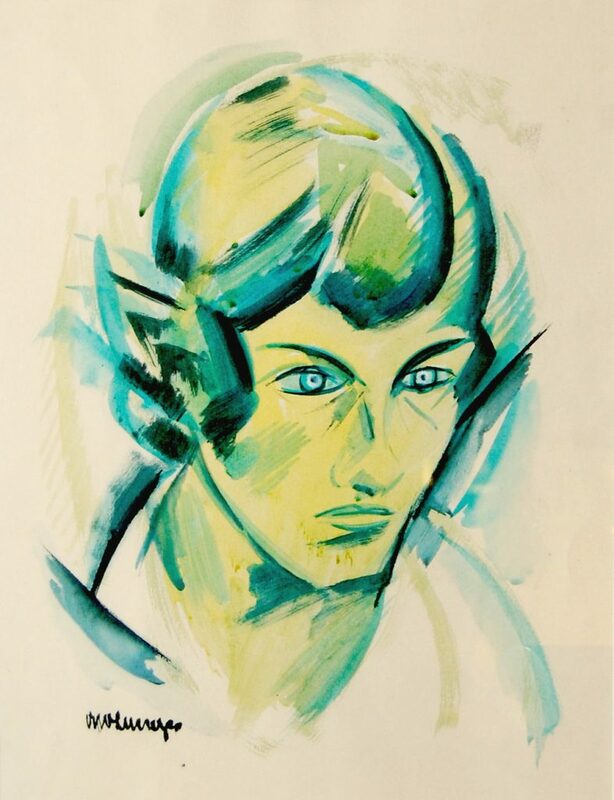 They began their career during the Weimar Republic (1918-1933) after being educated and strongly influenced by the important Expressionists of their time. In the wake of the New Objectivity movement, they developed a strong expressive realistic style. Before achieving broad popularity and recognition, their artistic development was interrupted by the emerging Nazi regime. In collective condemnation, many were declared “degenerate” and had to flee, hide, withdraw to inner emigration and resign from the active art scene. To the end of the war, many lost their oeuvre to bombings. After the war, abstract and informal art was frenetically welcomed and promoted as a cleaning force. A young and radical generation dominated the art scene. In the same time, the early, classical modern expressionists were honored in popular exhibitions. Members of the “Lost Generation” who continued their expressive realistic style were seen outdated, became more and more irrelevant and finally were forgotten until rediscovered in the late 20th century.